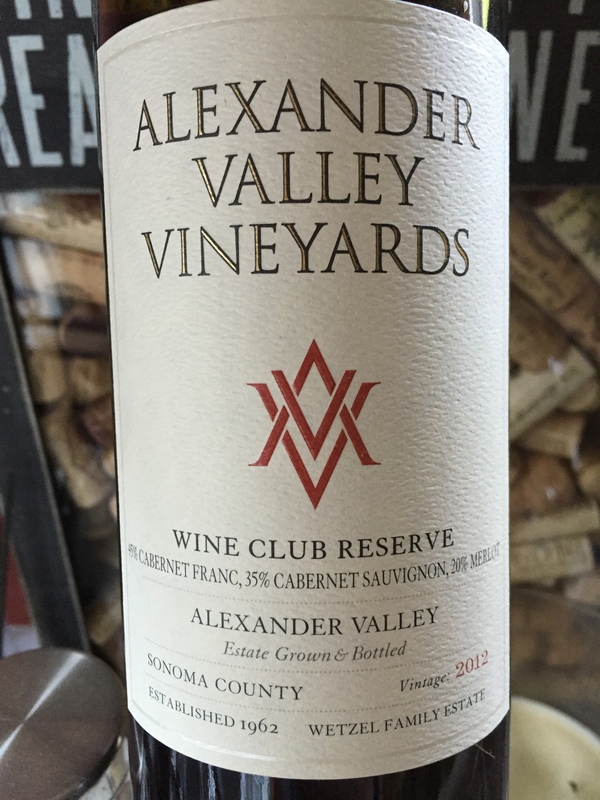 Next in my tasting series from Alexander Valley Vineyard is this gem. 45% Cab Franc, 35% Cabernet Sauvignon, and 20% Merlot makes this a Meritage in anyone’s books. How I love Cab Franc and more importantly how it melds into the Bordeaux style blend ! This was one bottle I was looking forward to. Dark purple with a nose of black currant, eucalyptus, wood shavings and pencil lead. On the palate is a vibrant, somewhat tannic attack of currants, black berries and more graphite. Very young wine with a good cellaring potential. 89 points with a drinking window of 2016-2022. (Or you could run it through a Vinturi and pair it with a ribeye!) I paid $24 at the winery and give it 3 stars. Salut….